Mammoet was contracted to perform the heavy lift and replacement of one complete stator section. This stator is part of one of the large mills which reduce the size of the incoming raw unprocessed earth before it enters a second mill which reduces the particle size for final processing. The large stator section is assembled from four quarter sections. Each of the quarter sections had to be lifted and moved to the waiting system. The system was then used to move the pieces out of the building and lower to ground elevation approx. 42’ below. One of the primary challenges in replacing the stator section is the location of a conveyor belt and separator tower that is part of the operating plant. 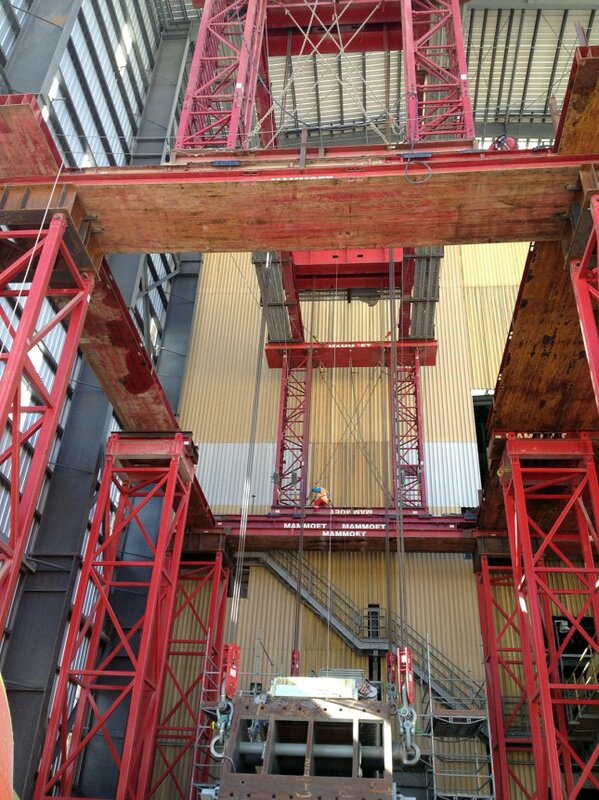 It was requested that impact to the conveyor be minimal during installation of Mammoet’s equipment to keep the plant operational until the shutdown started. Mammoet’s system was designed and installed months before the actual shutdown of operation and replacement of the components started. Once the replacement of the 4 components is complete, plant operations can continue while Mammoet’s equipment is removed. The gantry on this project, like most Mammoet structures, is assembled from a mix of proprietary parts and custom components. The lattice towers, strand jacks and beams were transported in from the Mammoet yard in Rosharon, Texas. The foundations were constructed of poured in place concrete and installed by a local contractor. Chile is of special interest to the earthquake engineering community, as it is one of the most seismically active regions on earth. The main seismic source in Chile is the Nazca subduction zone. In this area, the Nazca tectonic plate subducts with a relatively high velocity (80 mm/year) to the South America tectonic plate. As a consequence of this collision, the models of the seismic source which affects Chile can be described as: subduction interface, intra-slab and crustal fault. All these lead to shallow crustal earthquakes, which are typical for this area. 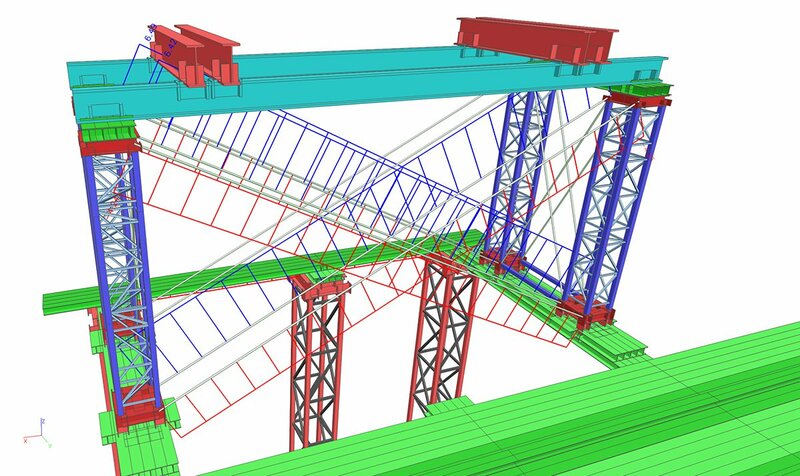 For these reasons, Mammoet US chose to collaborate with Mark Flamer P.E., an expert in seismic design using Scia Engineer, for the analysis of the gantry system. The results were also peer reviewed by an industry expert in Chile. The present seismic design code in Chile is titled NCh 433.Of96 and is based on the 1995 Uniform Building Code (U.S.). The code offers both static and dynamic methods for analysis of structures. Due to the size and geometrical irregularity of the structure, the design team chose to use the linear dynamic procedure (Modal Response Spectrum) over the simpler linear static (Equivalent Lateral Force) method. The design acceleration values in Chile vary based on seismic zone. The Collahuasi Copper Mine is located in the second of 3 zones. 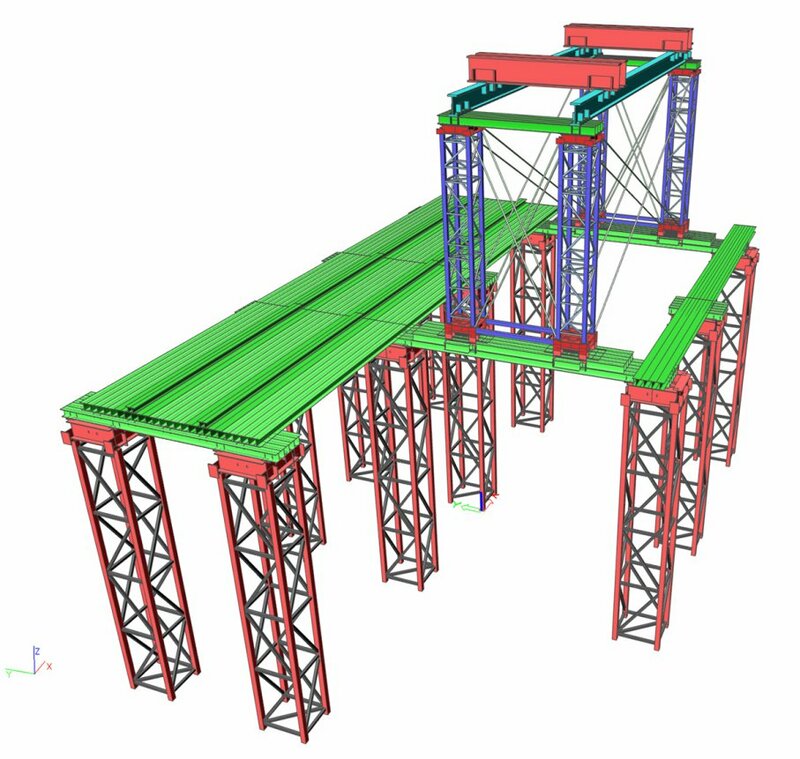 The response spectrum analysis was run with several models simulating the various positions the gantry and load would be in throughout the project. The critical load position found was with the stator at the highest lift point tying the fundamental period of the gantry and stator together, resulting in the most mass being mobilized under seismic excitation. The critical reactions were sent to a Chilean design team who then specified the foundation system. 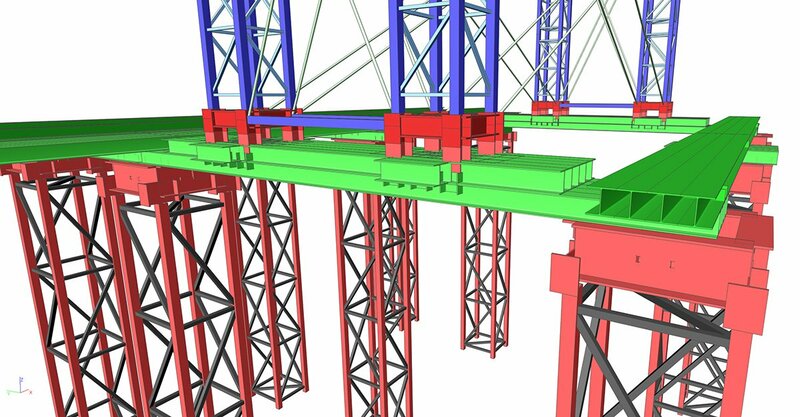 The ease and simplicity of Scia’s graphical interface allowed for time-efficient modeling especially in the repeating tower structures. Load modeling was easily able to account for multiple load scenarios, ranging from environmental survival cases to the stator section’s dynamic position on the system. Report generation vastly reduced the amount of time required for compiling and revising engineering reports. Graphical outputs and pictures also greatly aided in communication between Mammoet and the client as there was often a language barrier.